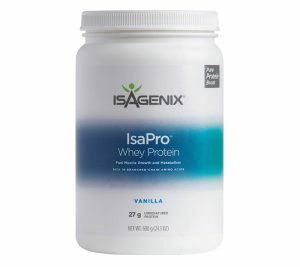 Isagenix IsaPro is a high quality whey protein shake, ideal for pre and post workout or to satisfy your cravings between meals. Each IsaPro shake is packed with 27 grams of the highest-grade protein from pasture feed dairy cows from New Zealand. Protein is an important part of our food and supplement intake (being one of the most important building blocks in our body). Kickstart your metabolism and muscle growth, and help reduce your hunger cravings with Isagenix IsaPro. 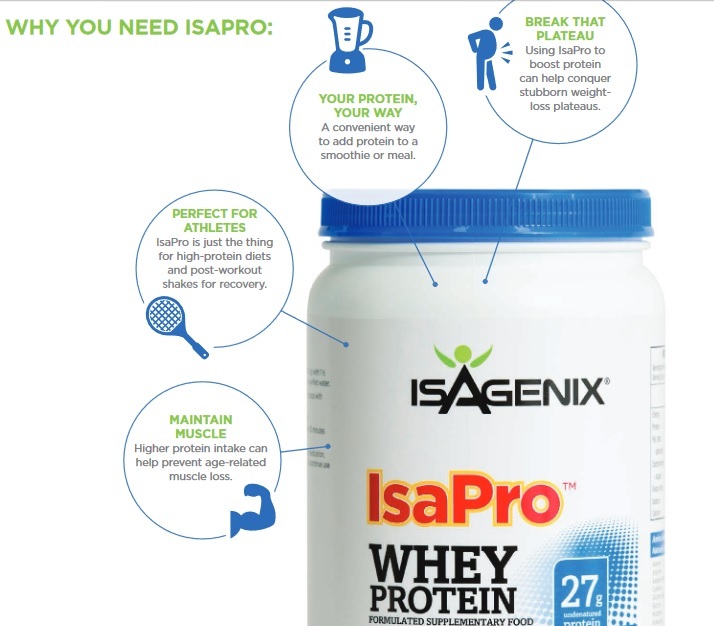 Isagenix IsaPro whey is more than just a protein with loads of other nutrients to benefit from, see the product information sheet below for more info and benefits for IsaPro. What are the Ingredients in IsaPro Whey Protein? See the full list of ingredients in IsaPro here. For more information about this high quality whey protein product, or any of the other Isagenix products, contact Nicole at info@isaelite.com.au or call her on 0413 254 398. How Can You Buy Isagenix IsaPro in Australia and New Zealand? Remember, if you are not completely satisfied with your products you can send it back for a full product refund. All products for your first order are covered by a 30 day money back guarantee, you have nothing to lose but body weight! Full details can be found here.